GREENTECH DRYERS Srl was founded by professionals who have been in the collision repair industry for three generations. GTD manufactures natural gas or propane powered catalytic equipment that emits infrared heat through a safe, flameless heater technology producing a uniform low intensity heat. The manufacturing plant, just outside Padova in the North East of Italy, is one of just three facilities in the world that produce this type of technology for the automotive sector. Thanks to their R&D project for IR Gas Catalytic Drying with low environmental impact technology, GTD Gas powered IR Catalytic Robots range for the car body paint curing can dry all paint products on vehicles faster, better and cheaper and became the most up to date, most reliable and most cost effective equipment on the market. Presenting itself to the global market with innovative drying equipment, the company uses for its activities four departments: administrative, R&D, manufacturing and logistics, marketing & sales. The production includes IR gas powered robotic drying robots also be capable of being installed into existing businesses, without completely replacing all existing spray booths and prep decks, and complementary equipment specific for the car body shop, collision repair and refinish. 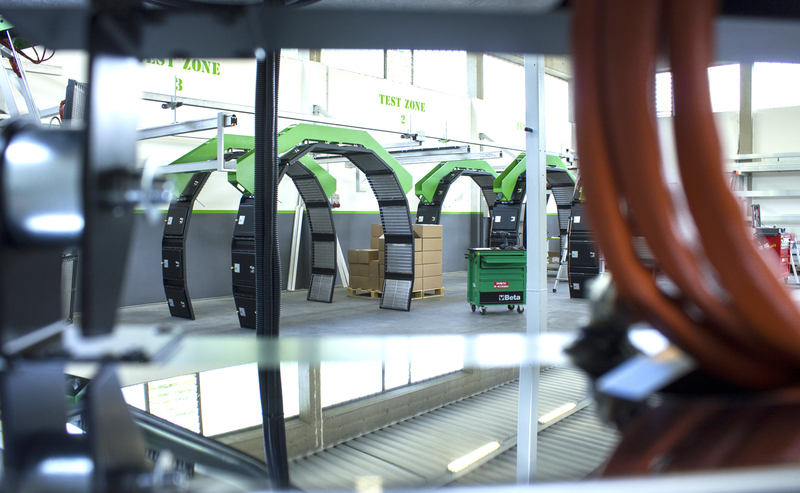 To date Greentech Dryers Srl is the only company in this field to ensure a global solution for the industrialisation of the repair process in the body shop, offering the most up to date, most reliable and most cost effective equipment on the market. Series E range based on IR Gas Catalytic Technology on medium wave, combined with an advanced software, allow intervention on all surfaces to be dried, improving the quality of workmanship and within a short time-frame, at an extremely reduced cost (up to 50%) compared to conventional systems and in total respect to the environment thanks to significant energy savings (up to 80%) and minimum CO2 emissions. The easy use of robots and accessories provided with highly evolved, explosion-proof and anti-detonating heaters, facilitates the intervention on all the surfaces to be dried at a fast speed with any paint products and in preparation areas and spray booths (even pre-existing) at extremely reduced costs and with total respect of the environment. 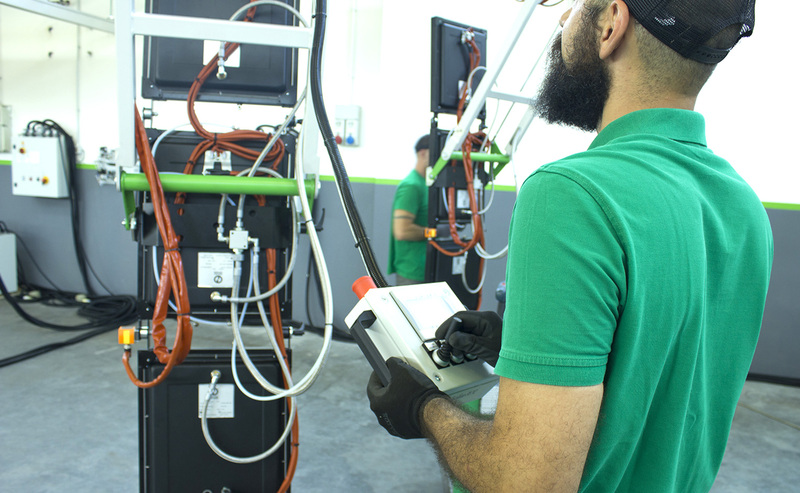 The management consultancy on bodyshop work flows, supported by a new generation software, complete the offer of solutions for drying equipment specifically intended for the body shop sector, but not alone, guaranteeing remarkable energy saving, high productivity and excellent quality results. The range of drying robotic systems is CE and ATEX certified, therefore approved for work in potentially explosive environments, such as in the case of the painting booths. GTD operates in full compliance with international standards thanks to ISO 2001 and ETL certification. 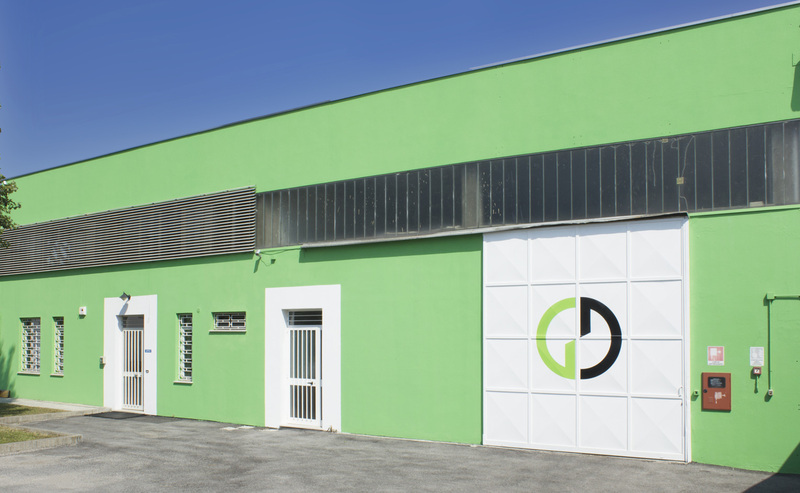 To give more impetus to our presence on the international market and manufacturing and sales activity, Greentech Dryers is continuously developing on the basis of well-established criteria over recent years. Participating in international exhibitions and shows and operating in different distribution channels, GTD is reaching wider market visibility and success. Since 2014 the export target overseas has been successfully achieved and extended to additional markets such as the USA, Canada, Australia, Thai, Korea and the Middle East.